Augmented reality (AR) is coming to personal hardware. We’re moving on from the keyboard and into a range of devices from headsets to mobiles to contact lenses. Here we take a look at some of the latest applications and the role that modular devices can play. Traditional tech companies are opting in on hardware to get ready for the mainstream adoption of AR. 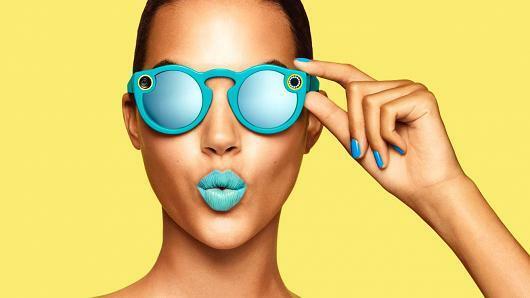 Snapchat have recently joined the hardware market with the upcoming release of their first hardware product, Spectacles, which is a pair of sunglasses fitted with dual cameras positioned at the hinges on either side of the glasses’ lenses. These cameras have a 115-degree field of view, and a light ring around the left lens lights signifying that they are recording. Once the video has been captured, it is sent Snapchat memories. You can then opt to share them with the world. Pokemon Go continues to be enjoyed by many with downloads and in-app purchases currently bringing in a reported $2 million USD every single day. But the company has extended its reach beyond the app to Pokémon GO Plus, a wearable device that lets you enjoy Pokémon GO while you’re on the move and not looking at your smartphone. 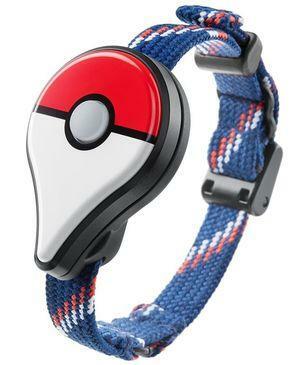 The device connects to a smartphone via Bluetooth low energy and notifies you about events in the game—such as the appearance of a Pokémon nearby—using an LED and vibration. 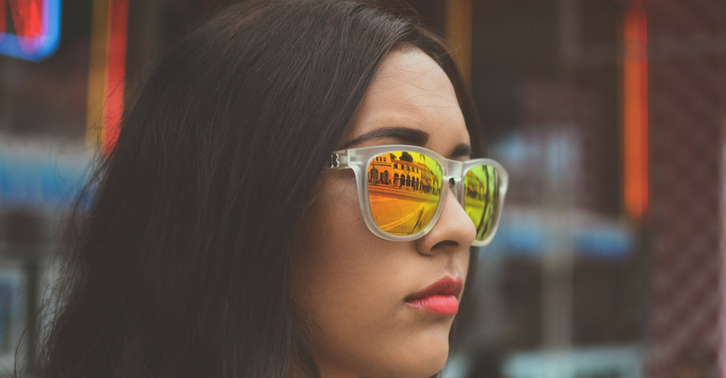 Whilst the imagination of consumers is still largely situated in creative pursuits like games and animation, some of the biggest capabilities for AR are in industrial settings. ThyssenKrupp recently launched its use of Microsoft HoloLens technology in its elevator service operations worldwide. Currently, the global elevator service industry is valued at over $44 billion per year and more than 12 million elevators transport over 1 billion people each day. The special mixed reality device is set to empower more than 24,000 of the company’s service technicians to do their jobs more safely and efficiently, and keep people and cities moving better than ever before. Microsoft HoloLens is the first fully self-contained wearable holographic computer running Windows 10. It is completely self-contained–no wires, phones, or connection to a PC needed. Microsoft HoloLens allows you to place holograms in your physical environment and provides a new way to see the world. 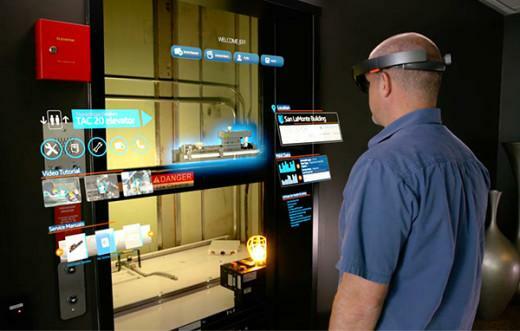 Using HoloLens, service technicians will be able to visualize and identify problems with elevators ahead of a job, and have remote, hands-free access to technical and expert information when onsite – all resulting in significant savings in time and stress. Initial field trials have already shown that a service maintenance intervention can be done up to four times faster. The much misaligned Google Glass is extremely popular in healthcare with third parties like Phillips connecting it to their existing hardware. The Philips IntelliVue solution allows doctors to monitor patients’ vital signs during surgical procedures without ever having to take their eyes off the patient. Augmented reality gives doctors expedited access to the information they need in settings where they need it most. It’s used in data administration for registering relevant details of patients instead of manually feeding the data into system, reducing time, overheads and the chance of human-error. Too much hardware to handle? Our hardware tool kits are starting to get clunky. Most of us carry around a laptop, mobile phone, chargers for both when you travel, headphones and leads. You might also wear a fitness tracker. Oh, and you’ve recently picked up some VR glasses. Then there’s your camera. It’s a lot to handle. 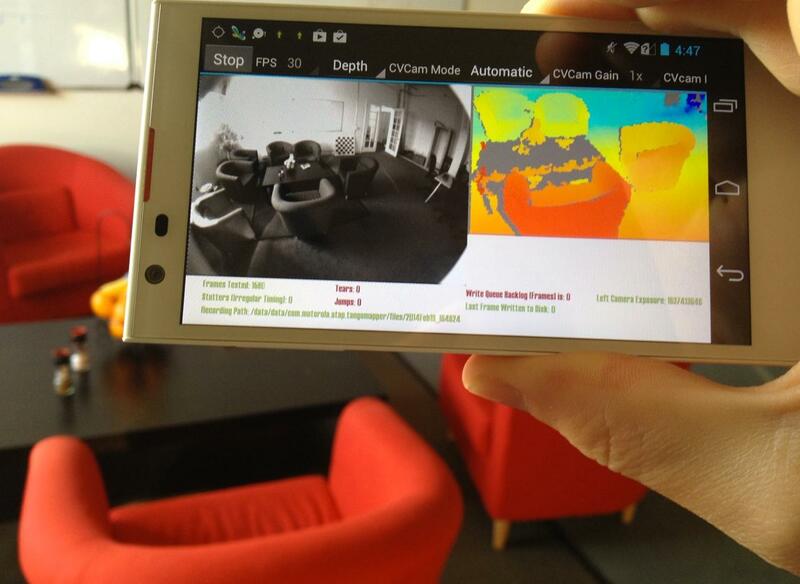 Whilst AR apps increase the applicability of AR, it’s operation is a combination of both hardware and software. For example, Google Tango currently requires the user to lug around a giant phone with a camera that can understand space and movement, but being just a camera it is limited to the software that can take advantage of the camera’s ability and that alone. Imagine if we added more hardware capability to the equation using compact, modular adds-ons? Going forward it is very likely that most augmented reality devices will have some optically based hand tracking and gesture recognition abilities. Even without built-in external hand-tracking, devices like the Leap Motion make adding high quality optically based hand-tracking relatively straightforward. Then there’s wearable devices like Myo Armbands that enable wearers to control their phone, computer, presentations, drones and other devices through gesture recognition. It’s a logical extension. AR also has the potential to extend the concept of the digital self with personalized data into our not only our health but also our surroundings. Think of it as the quantified self meets your environment. Moduware modules will enable you to gain real time access into your environment, including humidity and air quality levels. Combine these with health markers from your wearable devices and you’ll have greater insight into your physical composition than ever before. This could then be connected to a gamified fitness program delivered through AR that’s actually fun and engaging and helps people get out of the house-Pokemon Go may just be the start of these. Ultimately the potential for hardware to transform AR from niche to mainstream is significant. Consumers are largely still focused on entertainment opportunities but the transition into other aspects of life from home design to administrative tasks is coming. For it to resonate it needs to be convenient and portable. Modular hardware is the way to achieve this. We like our blog posts like we like our modules: simple yet effective. Follow us on Facebook for more!